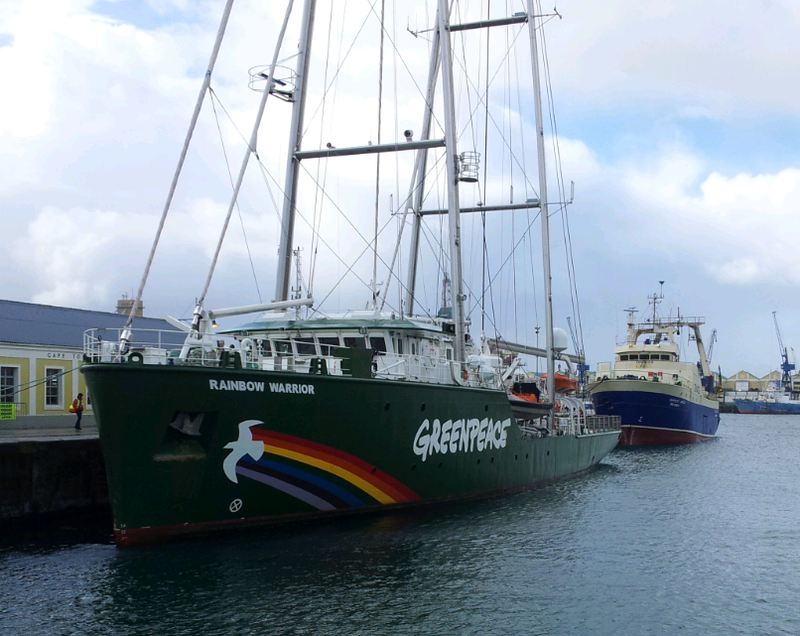 The third Greenpeace Rainbow Warrior docked at the V&A Waterfront in Cape Town this week. Rainbow Warrior is one of the most environmentally friendly ships ever built. It was launched in October 2011 in Germany. Warrior is the first ship that Greenpeace custom built from scratch, unlike the first two ships that were acquired from other people. 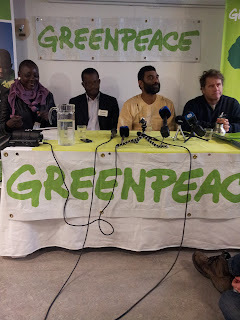 International Executive Director of Greenpeace Kumi Naidoo today said the South African government needs to walk away from investing in the nuclear industry and big power plants. Naidoo added that South Africa needs to intensify its renewable energy investments. Michael Onyleka O’Brien who is the Executive Director of Greenpeace Africa said there are three people who need to be involved in the fight against carbon emissions. One, the government needs to play its part, secondly the private sector needs to invest and thirdly ordinary citizens need to commit to use more renewable and less energy. 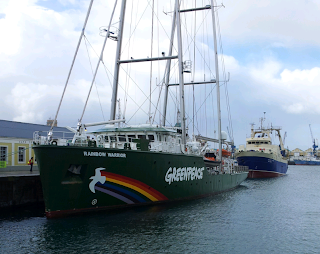 The Captain of Rainbow Warrior Pete Wilcox said they will be leaving Cape Town on Thursday night for Durban. Then from Durban the Warrior will be heading for the Indian Ocean where Greenpeace will be involved in a campaign of illegal fishing. The campaign will entail research and documentation of the illegal fishing activities there. Rainbow Warrior will be opened to the public on Sunday the 12th of August. It will be open from 10:00am until 18:00pm. The public is encouraged to come and view the ship and learn more about Greenpeace and its campaigns.